Claim road supremacy with this performance Aero Kit "Stage 3" Downforce package. You should know that this package is for the Z06 only. If you are a Z06 owner then you have found your leg up on your friends and competitors who own Corvettes but not the Z06. In fact, you might be getting a leg up on your fellow Z06 owners if they do not know that this part exists. Go ahead, we will not tell. You get the bragging rights of being first. The kit has a ton of features you should enjoy including a transparent wicker bill, larger front plates for your front splitter, and a few more things from the Z07 package. You can read more about those elements in the paragraph below. Just remember that the first person with this upgrade on their vehicle will always get the bragging rights of being first on their block with this item. Make sure it is you who claims this right. Add a new dimension of downforce to your Corvette Z06 with a Performance Aero Kit Downforce Package. 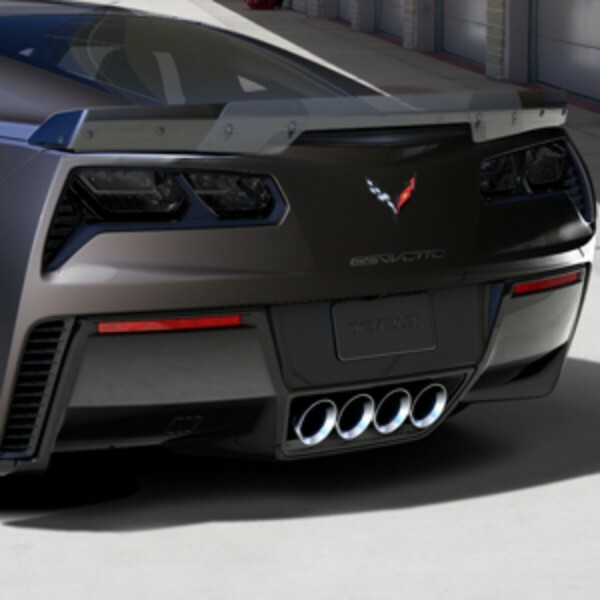 This Level 3 Aero Package is an upgrade exclusively for Level 2- equipped Corvette Z06 models and adds elements from the Z07 Performance Package, including larger end plates to the front splitter, as well as an adjustable, transparent wicker bill on the rear spoiler for track use. With this package, the Corvette Z06 delivers the most aerodynamic downforce of any production car that GM has ever tested.